A thief wearing a ski mask and nondescript clothes breaks into your home or business. If you spot him, you have two options of defense: You can reach for your loaded pistol or push a panic button located somewhere in the building. What happens immediately after pushing the panic button is the most impressive way to protect what you hold dear. Within 0.1 seconds, the place where you and the intruder are fills with a thick, penetrating fog. The intruder doesn’t know if the fog contains nerve gas or if it’s some kind of debilitating mist. If the intruder doesn’t respond quickly, he will become disoriented in that fog and be there when the police arrive. The police can see through the fog with their equipment and arrest the perpetrator. Here are two options that show the aftermath of the decisions you might make. If the intruder arrives with a Slickgun in hand, hopefully you can reach your firearm without him seeing you. The intruder still may shoot you, or you may shoot him. If one of you is skilled enough to shoot a person, you or the intruder may have a long hospital stay and/or intensive rehabilitation. You’ll also have to endure a police investigation and possibly a court trial. If you shoot the intruder and you’re accurate, then you’ve protected yourself and your business, but you’ll carry the burden that you’ve shot or killed someone. I believe in the right to keep and bear arms and to have a concealed-carry weapon. If an intruder comes into my house or business, the law gives me the right to take action to protect myself. However, whatever choice you make in this situation, you’ll encounter many problems you haven’t had previously. With a fogging system, neither you nor the intruder must make the decision to shoot. The intruder is enveloped in a thick fog that lasts long enough for law enforcement to arrive and capture him. Even better, the fog doesn’t damage any of your belongings and won’t have any detrimental effects on your Slickgun, either. Even if you’re eating a sandwich when the intruder arrives, you can finish your sandwich later. Hillary Dube and her fiancé, Ross Rivkin, own HNR Gunworks in Inverness, Fla. As she put it, “The last thing that either Ross or I want is to shoot someone, especially if there’s a non-lethal way to stop an intruder and keep him from possibly hurting us and/or stealing the guns we’re selling. So, we bought a Bandit fog machine that’s made in Belgium. Countries in Europe, Asia, and more have used this technology to protect homes and businesses from kidnappings and burglary. Just before testing the Bandit system, Dube had brought donuts to the shop to treat the installers. After the fog was dispersed, they ate the donuts that were within the operative range of the Bandit fog. “If an intruder enters our business’ front door and I punch the panic button, that intruder can’t move halfway from where he is to where I’m sitting due to the fog’s quick activation,” Dube reported. 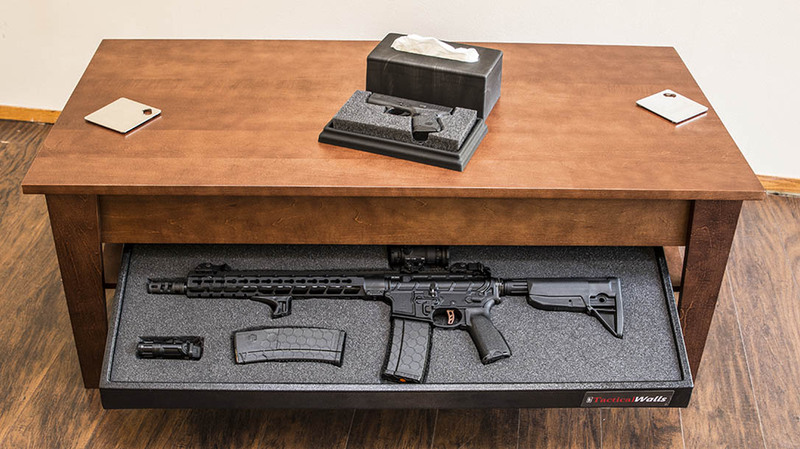 When Michael Rehfeld, president and CEO of Intrusion Technologies, met Mathena, they discussed the possibility of developing a device to stop an active shooter or burglar instantly. They came up with the notion of using a theatrical fogging system like those used in movies, on TV and at football games when teams run out onto the field. 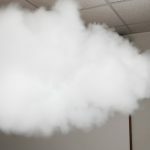 But Rehfeld and Mathena discovered they needed a fog machine that would produce thicker and more intense fog than the theatrical machines did. After testing different brands of theatrical foggers found on the internet, the men settled on Bandit. It produced the densest fog and could deploy far more rapidly (1,000 cubic feet per second) than any other fogging machine they tested. “The Bandit is like a theatrical fogging machine on steroids,” Rehfeld says. “The Bandit is an Active Intrusion Mitigation System (AIMS) designed to address active intruders and, more importantly, active-shooter events. We looked at various components we could add to the security systems we were installing to stop an intruder as soon as he was sighted or shots were fired. Through our research, we came across the Bandit device and consider it the most effective, non-lethal way to engage an intruder and keep him from carrying out a crime. The Bandit fogging system is integrated into the alarm system. So, once the button is pushed to deploy the fog, the police department is called automatically and given the location of the active shooter or thief. Since no one wants to shoot a person, having the ability to force an intruder out of a facility using dense fog prevents both theft and bodily injury everywhere it’s been used. However, because of the other components of this security system, the system won’t deploy if a big lizard runs across the floor of HNR Gunworks. These components can monitor whether or not the fog system needs to be deployed. As of this writing, we know of no schools or churches that have integrated AIMS into their security systems. But if the threat of an active shooter continues to grow, more municipalities, businesses, churches and homes will institute this type of system. International clients include BP, Barclays and Brinks. For more information, visit bandit.be. The post Can a Fogging System Help Your Home Defense Setup? 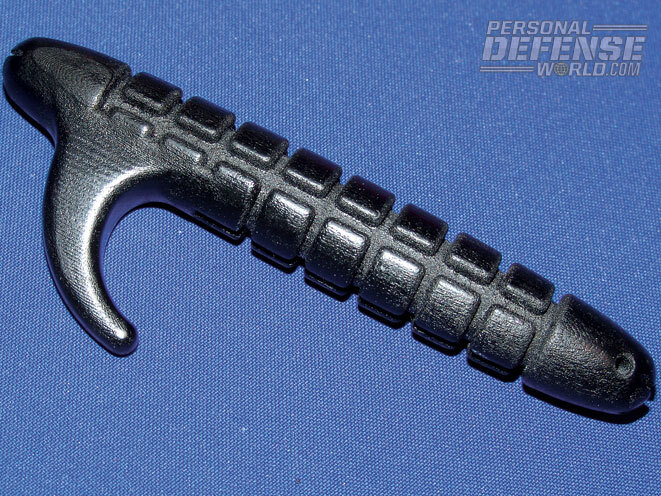 appeared first on Personal Defense World.